Grass Does Not Grow Where The Dogs Go. 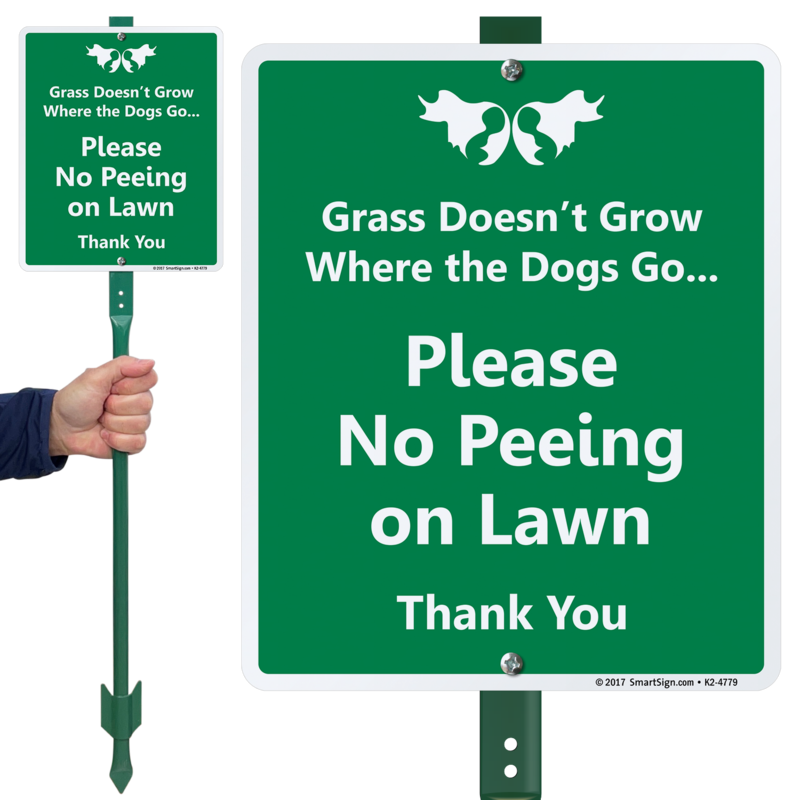 Please No Peeing On Lawn. Thank You. 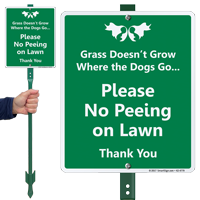 Teach many inconsiderate dog walkers by using this LawnBoss™ Sign that comes with a stake for easy installation.